,INGENTEC CO.,LTD was found in early of 2008 after 16 years experience in electrical industry. Our main services include design, installation and commissioning work of electrical power transmission and distribution system of high and low voltage in industrial sector. 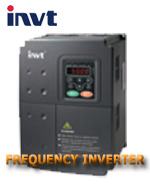 And also, we supply frequency inverter (INVT) and programable logic controller (PLC).